The ballad was written in late 1862, before the regiment left their camp in Newport News,Virginia. It provides us with an insight into the mind of soldiers on campaign, and of the type of humour popular amongst them. It is entitled the ‘Rum Racker’s Club’ and was published in the Irish-Americanon 17th January, 1863. And imprints its own blush to your cheek. How those “Phoenix Boys” thrive on the grub! And they’ve whiskey galore in their Club. And he gave us old Holloway’s Pills. For they know that he’s skillful and brave. The final elements of the generally comic ballad have added poignancy, as it gives us a snapshot of the Legion preparing to leave Newport News for Suffolk, where they would shortly afterwards fight in their first engagement, and sustain their first battlefield casualties. The meaning of all the references in the piece are unclear, although it is possible to interpret some of Oulahan’s terms. The ‘veteran McQuade’ is most likely Thomas McQuade, a member of Corcoran’s staff who had lost a leg at Bull Run. The ‘Monks of the Screw’ was the Order of St. Patrick, a political and charitable group who gained their nickname as a result of their drinking activities. ‘Holloway’s Pills’ were a famous patent medicine in the 1860s, which claimed to cure a wide variety of ills. ‘Cumberland’s grave’ refers to the USS Cumberland, which was rammed and sunk by the Confederate ironclad CSS Virginia at Newport News on 8th March 1862. 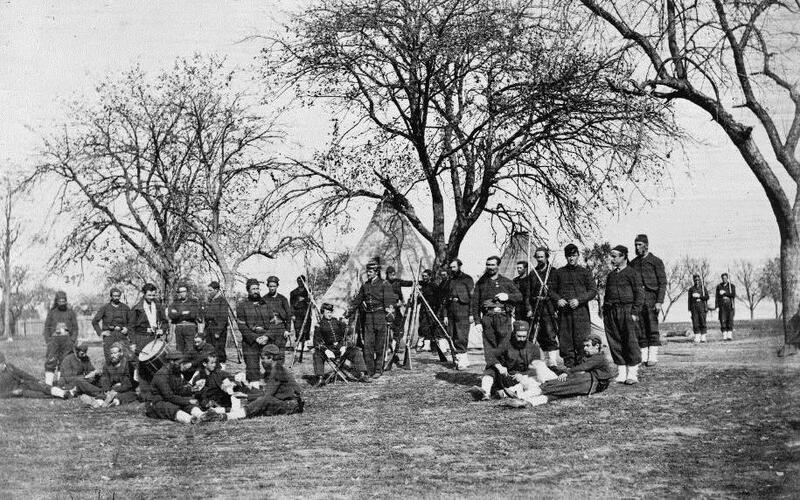 The 164th drew many of its original officers from the Phoenix Zouaves in New York City. After Corcoran was exchanged, he was promoted to general by Lincoln, and returned to New York City to organize the unit. Many Phoenix Zouaves had already enlisted in the 37th Irish Rifles and irish Brigade. Many of those who remained behind enlisted or were commissioned by Corcoran in Corcoran’s Irish Legion on his return. Historically speaking, the most famous member of the 164th was Sgt. Edward O’Meagher Condon. He was among the five people arrested for the murder of Sergeant Brett (an English police officer) and during the trial shouted out “God Save Ireland!” This refrain was taken up by other defendents and Republican sympathizers in the courtroom. Once the phrase hit the papers it became a rallying call for many years in Ireland. Because of the intervention of the American ambassador, Condon avoided becoming one of the three Manchester Martyrs. His death sentence was changed to life and then he was later commuted. Returning to the States, Condon was active in the FBA and Clan-na-Gael for many years. I am so pleased to have found this! Major Richard Oulahan was my great, great grandfather. I’d read he was a poet, but this is the first poem of his I’ve found. Thank you. How to great to hear from you! I am delighted that you found the site and the poem given your connection! I hope to get a chance to post more about his unit in the future, so I will see can I dig out more on him for you! Thank you! I’d love to see a photo of him – as far as I know, the family doesn’t have one. And of course, any other information would be welcomed. Anna – what interesting exciting news. I have no pictures of either him or Mary proud but would love to. My ancestor is Alice Oulahan Sanderson. Her father is Richard. 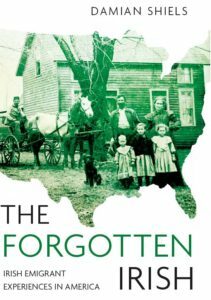 My brother lives in Maryland and is also interested in the family history – I’ll share photos with him. Which Oulahan is your relative? Richard Oulahan is my husband’s great great grandfather. I just found online that you might have a picture of him and Mary Proud. I am wondering if you would be willing to share them with us. That would be amazing!